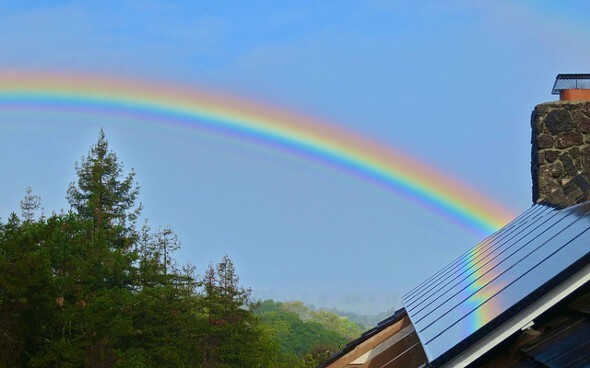 You don’t have to be a die-hard hippie to see the sense in adding renewable energy to your home. What stops homeowners from installing these money-saving features is often the up-front cost, but an energy tax credit can help take the sting out of that initial investment. Find out now: How much do you need to save for retirement? First, let’s review the difference between a tax deduction and a tax credit. A tax deduction reduces your income for tax purposes, while a tax credit directly reduces your tax bill. That’s why credits feel a whole lot more satisfying. Tax credits are available for qualified improvements that will reduce your energy use, whether that’s installing something new (like a geothermal heating system) or updating something you already have (like your boiler). Make sure you’re documenting the improvements you make to your property so you can provide the IRS (or your accountant) with proof that you’ve earned your energy tax credits. This is good practice in general, but it’s also important because the energy tax credit is calculated as a percentage of what you spent. For certain improvements you can get a credit for up to 10% of your costs, and with others it’s up to 30%. Save those receipts. We’ve been talking federal taxes up to now, but many states also offer tax breaks for people who make their homes more energy-efficient. You know that house with the awesome wind turbine you pass on your way to work? Why not ring the doorbell and see if the owner is willing to let you pick her brain? There are plenty of tutorials and blogs on green home improvement, but it’s valuable to get a local perspective if you can. Someone local can recommend contractors in your area and might have advice on local and state programs that saved her money – and could do the same for you.